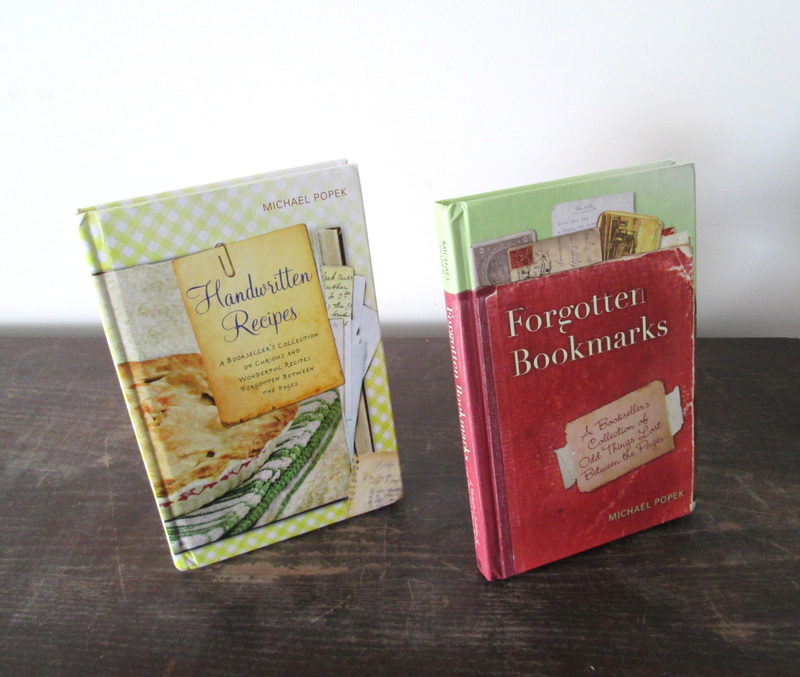 I have given forgotten bookmarks as a gift so many times ----I need to keep a list of who I gave it to!!! And each time the recipient loves it! I even gave away my own copy---so I would love for you to pick me!!! I would love to be a winner for these signed books. I want to participate, please! I soooooo want these books! �� Thx for all you do! These books would be such a treat to own. Thank you for such an awesome giveaway. I love to read and am looking for books that I can keep in my library and read over and over again. I also love to cook and am looking for new recipes to entertain the elderly residents in my building with. How charming and wonderful this site is; I would be so thrilled to have those books. I always look forward to Fridays to see what will be given away! These signed books would be fun to own. Happy Fourth! Glad to see these up as give aways again. Friend and I have a "sisterly" agreement that if either of us even win, we split it. We haven't figured out who gets what, but we look forward to the day when we have to figure that out. My fingers and eyes are crossed! Hoping to win this wonderful give-away! Yes please! I'd love those. I would love to win both books.. I am a huge collector of book marks and love imagining what a persons history of life story is.. Throwing my hat in the ring - yet again. I've tried before too, but I'll try again. :D Thanks for the chance. Yes, I've wanted to win these books for a very long time. Fingers crossed and I would love to win. Thanks for the opportunity and chance. I've tried and tried to win these...one more time! Thanks for letting me try.